This is the default mode. Results are displayed in a grid within the Dax Studio Results tab. 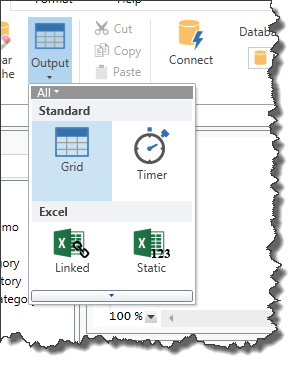 When the results are output using the Linked mode a table is created in the active Excel workbook which has the connection to the tabular data source and the DAX query embedded in it. What this means is that users without Dax Studio could refresh the data in this table.